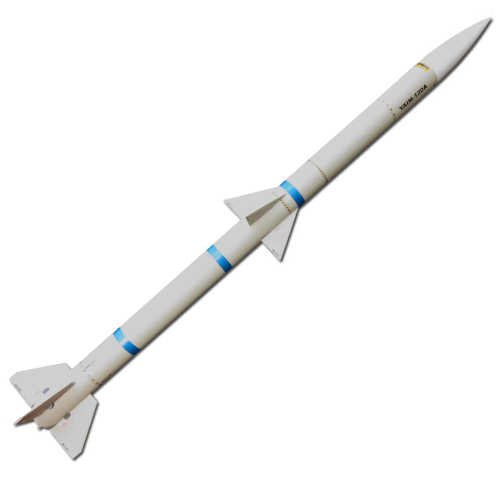 This is a scale version of the popular Advanced Medium-Range Air-to-Air Missile. The actual missile is powered by solid-propellant rocket motors. The rocket kit flies on motors ranging from a D12 to an F44. There are lots of small pieces and decals. Cutting out and handling the small decals can take time.